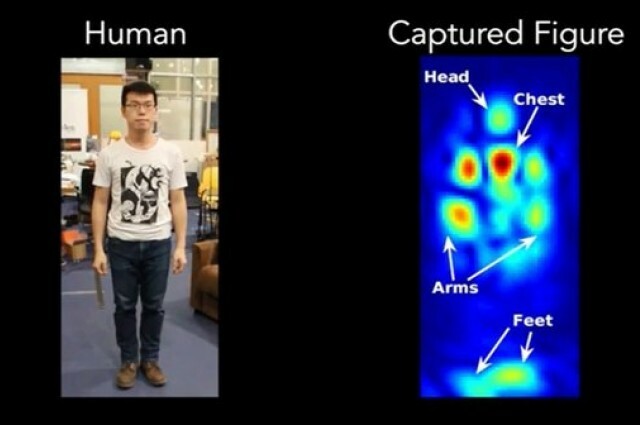 A group of researchers from Massachusetts Institute of Technology developed a new technology that allows one to perceive or see a person behind walls called RF Capture. RF Capture is a device that works by transmitting wireless signals that travels through a wall and reflects off a body of a person back to the device. It was developed using WiTrack which is a system that allows high accuracy and 3D motion tracking through walls. Through a series of algorithms, they have minimized the noise produced by the reflections allowing the device to analyze and recognize a person`s silhouette among the objects on the room. A similar device developed by director Dina Katabi and PhD student Fadel Adib by the same institute uses the same technology and at the same time, it monitors the heart rate and breathing of a person to monitor the person`s health. This device can also notify another person if there is an anomaly in the participants` heart rate and breathing. With an accuracy of 90%, RF Capture has a wide range implications from medical use to monitor a patient to multimedia use for computer animations.Want to know more about this awesome device? Follow this link!